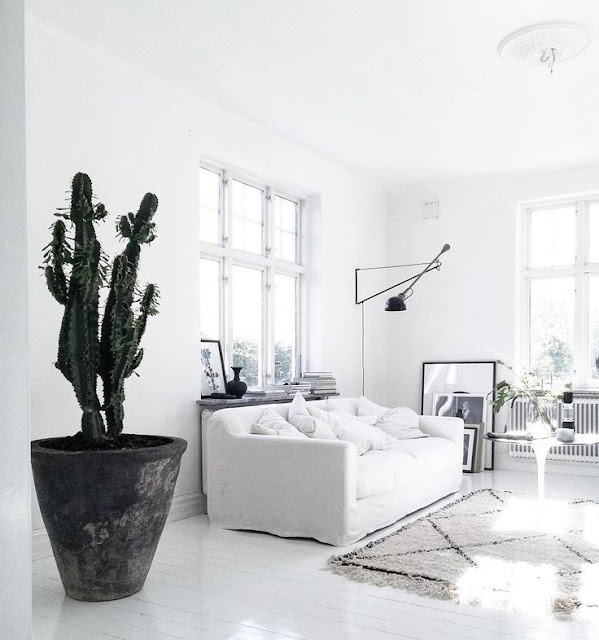 Love this open and white living room. That planter with the cactus !!! The big windows with all the natural light coming in. tonight... you never know, right ?